At ISE 2019, VP of products Rob Abbott explains how Nureva HDL300 Microphone Mist fills space and picks up audio from anywhere in a space. VP of products Rob Abbott talks about Nureva HDL300. Nureva HDL300 audio conferencing and its Microphone Mist concept is pretty compelling – the idea of microphones misting through an audio conferencing space and picking up clear audio wherever the speaker happens to be sitting, standing or moving about. It’s more than a catchy term, however, said VP of products Rob Abbott during Integrated Systems Europe (ISE 2019) where he explained how Microphone Mist works. “It fills the space with thousands of virtual microphones. What this enables is really natural and great audio pick-up regardless of where you are in the room,” he tells CI. Watch the full video for Abbott’s take on Nureva Microphone Mist. The HDL300 audio conferencing system “resolves the frustrating and persistent issue of poor audio pickup, especially in dynamic environments where participants move around the room,” according to the company press release. When combined with the Nureva Span visual collaboration system or other interactive display, the HDL300 system can also be used as the primary source for audio and video playback. At the core of the HDL300 system is Nureva’s breakthrough Microphone Mist technology, which places 8,192 virtual microphones throughout a room to pick up sound from any location to ensure that everyone is clearly heard regardless of where they are in the room or the direction they are facing. 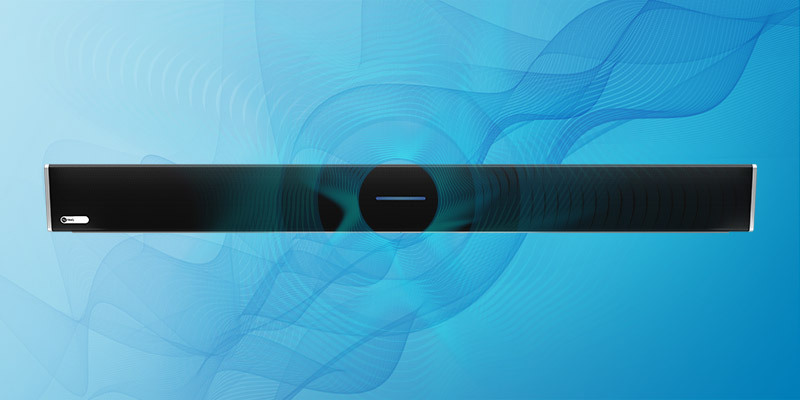 The system uses sophisticated algorithms to simultaneously process sound from all virtual microphones to provide remote participants with a high-quality listening experience, enabled by continuous auto-calibration, simultaneous echo cancellation, position-based automatic gain control and sound masking. 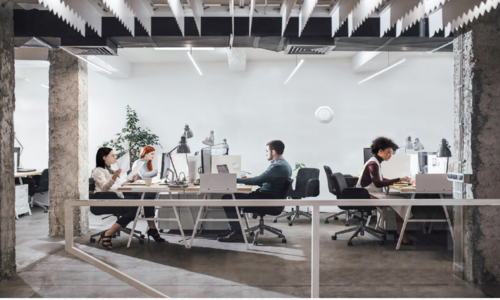 The HDL300 system is optimized for small to mid-sized environments and is designed to work with Skype for Business, Zoom, Blue Jeans, Cisco Spark, Cisco WebEx, GoToMeeting, Pexip Infinity Connect and other common UC&C applications.